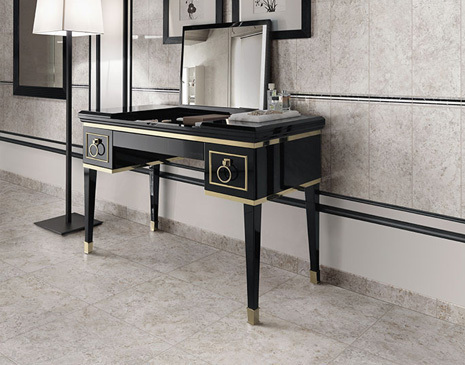 Sometimes it's the final decorative touches that make a ceramic or porcelain tile really stand out. These trim pieces, known as listellos, allow you to add the design touches like texture and pattern, but also give you the opportunity to truly customize your space. Very often you'll see these used in bathrooms or in backsplashes in kitchens, but they can be used anywhere - over fireplaces, around doorways and more. 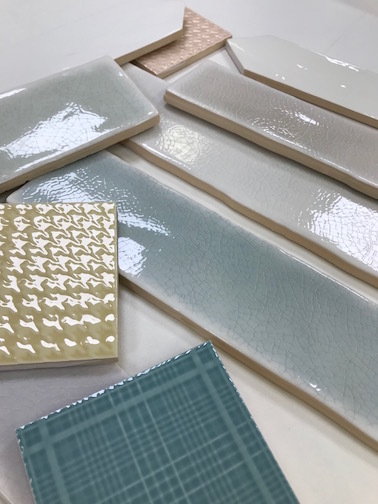 Listellos and decorative trim come in a variety of styles as well as materials: Look for stone, metal, glass, hand painted tiles, mosaics and more. Careful though, they can get very expensive. It's also difficult - with so many design options - to know where to start. That's where a professional tile showroom or retailer can really make a difference. They have a selection of design ideas you can copy outright or to use as a template for your own decorating ideas. What you won't see are listellos used on floors - they're too delicate. Instead, use interesting patterns to create visual interest on the floor and listellos to create distinctive design statements on the walls. 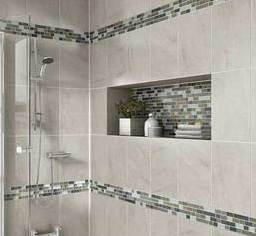 DalTile shows how to make a statement with decorative trim.